Ah, Holly Golightly, you ephemeral charmer. And poor Fred, you stood no chance of pinning her down. I started this book in bed with a headache and by the end I was right as rain. It could be down to the paracetamol, but I think it is more likely that the power of good storytelling that took the headache away. This is a fun story of the transience of New York society, the freedom that city life gives you to reinvent yourself and the impossibility of really knowing some people. I like the way that as the book went on it grew gradually darker and Holly’s facade was slowly chipped away. For me though, the highlight of this book wasn’t actually Breakfast at Tiffany’s. It was the three short stories tacked on the end, almost as an afterthought, which have stayed with me the next day. The three stories: House of Flowers, The Diamond Guitar and A Christmas Memory are beautiful. A Christmas memory, in particular, was desperately sad, but a triumph of enjoying the small things in life. I had a tear in my eye at the end. Diamond Guitar returns to the themes of fleeting friendship and flexible identity from Breakfast at Tiffany’s but this time in the similarly transient setting of a prison camp deep in the woods. So, if you can get this edition then I highly recommend the final stories as well a the main show. 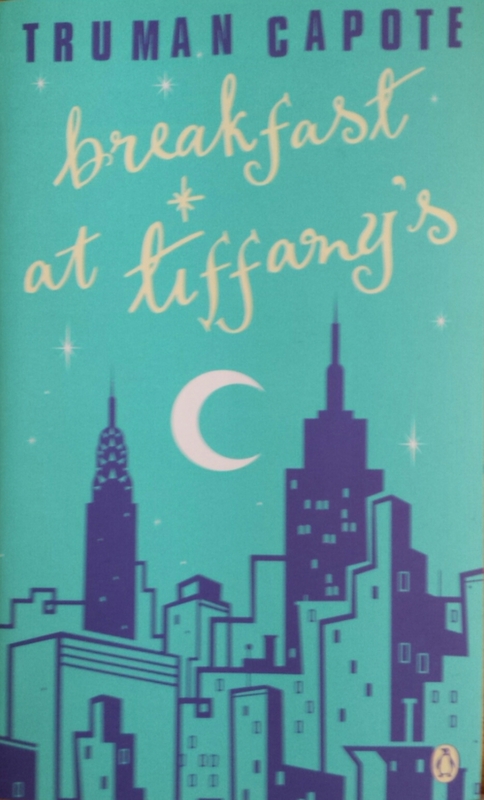 Tags: book, book review, books, breakfast at tiffany's, Fiction, new york, novel, Truman Capote. Bookmark the permalink.